East London Lofts Rooms feel every square inch of space on your property is important and, should you wish to extend it, constructing an extra room in the loft presents an impressive space solution. You may well be faced with a complex list of building and planning restrictions. Alternatively, you may be considering the best ways to make the most effective use of the space, or if the new room will go well with the look of your property. You will need to be sure, too, of the quality of the artisan-ship. With our conversion services for lofts in London, you can expect a superior transformation. Making use of their substantial knowledge, our architects will provide the largest possible area of living space for you by designing well-planned storage space areas. At East London Loft Rooms we pay attention to what you say you wish from the get-go; we provide choice and quality in design as a matter of top priority. This is shown in the external aesthetics of each of our conversions as well as in the care we take to ensure that any changes blend in naturally with the interior of your home. 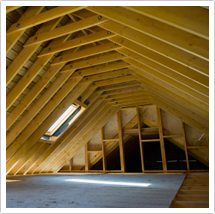 East London Loft Rooms have expertise in loft conversion in London that stretches over many years. 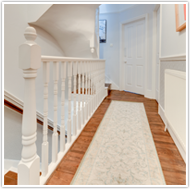 Our service includes complete design work; this includes acquiring local authority approval for the drawings through to building as well as decorating, if required. 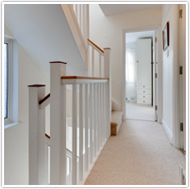 Whether it is in the flawless fitting joinery of a brand-new staircase, or in the selection of door style, a huge effort is made to make certain that the work fulfils both your functionality needs remains in keeping with the appearance of you home. 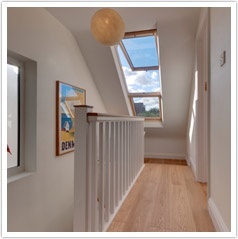 Without doubt, the successful completion of a premium loft conversion will add resale value to your home. The complement attention to detail with high standards of artisanship, and all the major guilds and associations accredit us. None of our workers multi-task, ensuring a consistent standard of workmanship. 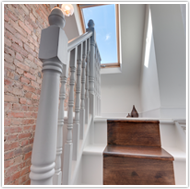 Further to each one of the previously mentioned points, we have a management team that really does care; you can be sure that your loft room will be perfected quickly, efficiently and most importantly properly. Due to this, we are prepared to stand behind our confidence by offering a 10-year guarantee. inception to the completion of every project.